Bisa COD daerah Sunter dan sekitarnya. 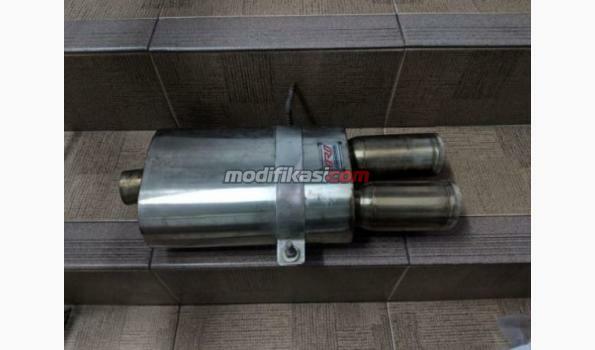 When POWER MEET STYLE Muffler Knalpot V2Twin ORDexhaust : 330HP Non Turbo Proven ORDexhaust V2twin muffler proven to handle 330hp dailly driven Allmotor (NonTurbo) H23V..
Muffler v2 ( ) Race Proven on #400HP Engine RACE PROVEN EXHAUST SYSTEM Header Downpipe Reson Muffler Hasil dyno gain 6hp. Torque gain 12NM. On stock yaris engine, no p..